The current VAT threshold in the UK stands at £85,000. Any business that has an annual turnover of that value must register for VAT with HMRC, and when they do this they will receive a VAT number. Before you work with another business, you normally want to find out all you can about them and you can easily do this through a Google search. However, something you might not consider looking at is their VAT number, and this is actually something that you should definitely be verifying. Verifying the VAT number of any businesses that your business is in contact with should be an initial move. You can find out extensive details on the VAT numbers on gov.co.uk, however, we have summarised what VAT is and the importance of verifying the VAT number below. A VAT number is a registration number of sorts for those businesses that surpass the annual turnover threshold of £85,000 (2018/19 tax year). The VAT number is a code which is unique to a business and a business will be given it when they are registered with HMRC. The number will be displayed on the VAT registration certificate, and the UK VAT numbers consist of nine digits, usually beginning with “GB”. Why is it important to verify a VAT number? It is important to check the validity of a VAT number because if you put the wrong number on your return, you may invalidate your invoice and HMRC can even disallow your tax input claim. This can leave you with having to deal with a pile of paperwork and no money back for the VAT. Sometimes having an invalid VAT number will likely be due to human error, other times it could be because of fraudulent activity. Therefore, verifying the VAT number is essential. You can easily carry out the two methods available to check the validity of a VAT number. 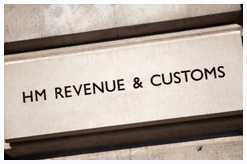 Firstly you can call the HMRC VAT helpline (0300 200 3700), which is open between 8 am to 8 pm from Monday to Friday. However, you should keep in mind that the helpline can only verify the numbers that are from UK registered businesses. Alternatively, you can use the online VAT number validation service which is provided by the VAT Information Exchange System (VIES). As the HMRC helpline can only deal with UK registered business the VIES website, which is run by European Commission, can help you verify VAT numbers of European countries. This method is simple and all you have to do is fill in a short form online. The website can then inform you if the VAT number is registered and to which business, straight away. If you need to keep proof of your search, then the website also allows you to do so. You are able to print out or save the search results, and if need be you can use the proof to let HMRC know that the VAT number in question was registered at the time. More on taxes and VAT. VAT registration for limited companies – when and how?